"I have not been absent, it is the producers who can not pay me, so I know my value, but I have been busy creating opportunities and jobs for young Nigerians so we can all live better, "he said. 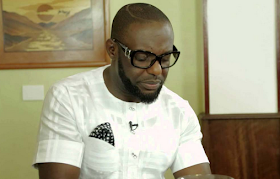 Speaking on the idea that the current generation of actors lacks creativity and talent, Iyke said, "It is wrong to say that today's artists lack productivity and talent. When people like Ramsey Nuoah, Emeka Ike and I were playing, that was what we said about us too, but I did not let myself be disturbed. We learned on the job and we improved over time. So, I think they will also improve with time. " He added that he would continue to act if he received the right salary.